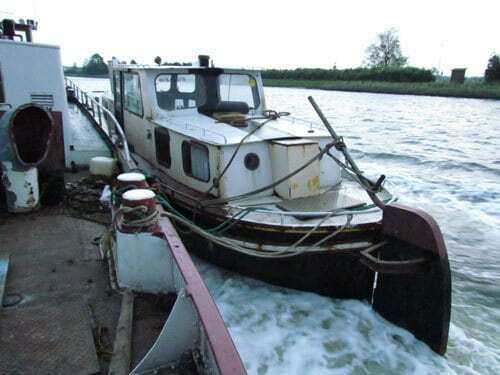 30th April 2011 – As I did with the Watergeus, Frantsis and Escapade, the first job is always cleaning the boat. Depending on the condition, this is a job that takes several days to several months. 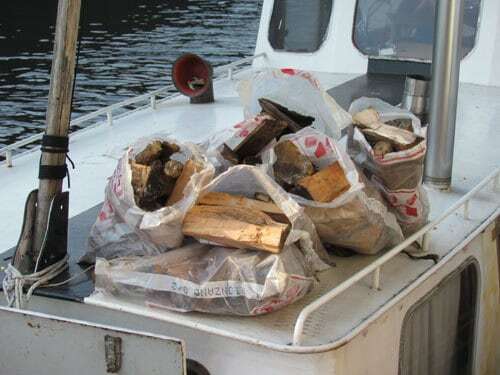 The fore peak was filled with wood for the wood burning stove and rubbish. I cleaned out this space, since I want to put a generator in this area. I pumped out the water in the afternoon and closed the remaining holes around the windows and on the deck. We started the engine, not expecting it to run. After turning the key, the engine ran nicely without any major problems. Oil needs to be changed and some grease added to the pumps. 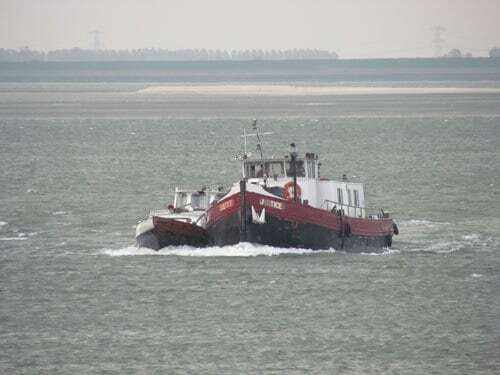 29th April 2011 – An important day for me, they towed the Hornblower from Antwerp to Sluiskil. Sadly enough, I could not join the trip since I had to work. I made it to Terneuzen, where I jumped aboard and continued the trip to Sluiskil. The towing went well, I only lost one bollard and some water came in during the trip. 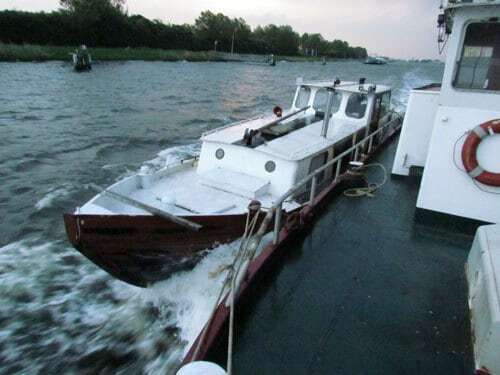 That was reasonable, since the tug was sailing at full speed, 21km an hour! 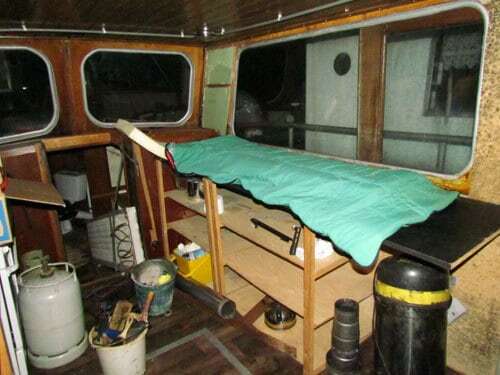 After a few drinks and congratulating the skipper of the tugboat, I decided to sleep aboard my new boat. 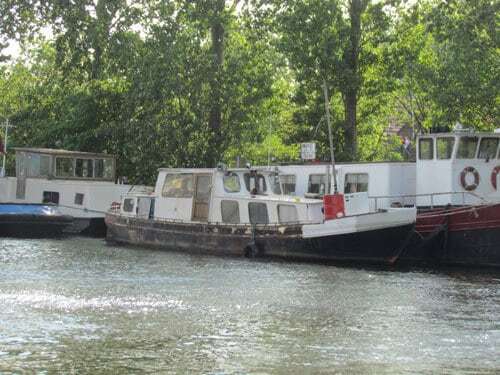 6th April 2011 – When you buy a yacht, you need to have the correct paperwork, especially with older boats. If you can’t prove the boat is a registered as a pleasure craft before 1998 in Europe, you need to have a survey done. This is a very expensive happening. Some of the documents, when I bought her, were not correct. Since I had an old registration number, they found her back as a yacht. I now have a Vlaggenbrief and Immatriculatieplaat. This means I can finally move around with the Escapade. In the end it took me nearly a month to get the paperwork right!